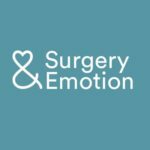 The Surgery & Emotion project is pleased to share the CFP for its upcoming interdisciplinary conference, ‘Health, Care and the Emotions’, which will take place at the University of Roehampton from 3-5 September 2019. We welcome proposals for papers/panels on a range of subjects including medicine and surgery, nursing, mental health care, social care, self-care and wellbeing, end-of-life care. We also encourage proposals on any related areas. For more details, click here: http://www.surgeryandemotion.com/news/view/health-care-and-the-emotions-conference-call-for-papers. Deadline for submissions: 1 May 2019. There will be no conference fee. We also have funds available to support 20 bursaries for PhD students and Early Career Researchers. Please refer to the CFP for more details.